The 1924 photo represents Watkins at her prime. In her photography she brought Modernism and Cubism to traditionally feminine settings, such as the kitchen, the bedroom or the pantry. This image was produced following a 1921 feature of her photographs in Vanity Fair. At the same time, she found commercial success taking photographs for Macy’s, J Walter Thompson and other businesses. Her success was cut short when she moved to Scotland to care for a pair of elderly relatives and was stranded when war broke out. She never returned to North America. Though Watkins continued to take photographs, she ceased to have a public professional career. Near the end of her life she entrusted a trunk packed with negatives and prints to her neighbour Joseph Mulholland on the condition it would remain unopened until her death. Over the past few decades, her works have re-emerged, and Robert Mann includes the photo in question on its stand with a price of $35,000. The gallery, which has premises in both New York and Germany, is among 100 dealerships coming from 21 countries to stand at the fair. Returning to Somerset House for its fifth staging, the event runs from May 16-19 and focuses on contemporary photography. Major features include a Discovery section showcasing new and emerging talent, and a special projects series showing works by artists such as Gavin Turk and Josh Haner. However, a small group of dealers will focus on top-end early and vintage photography. 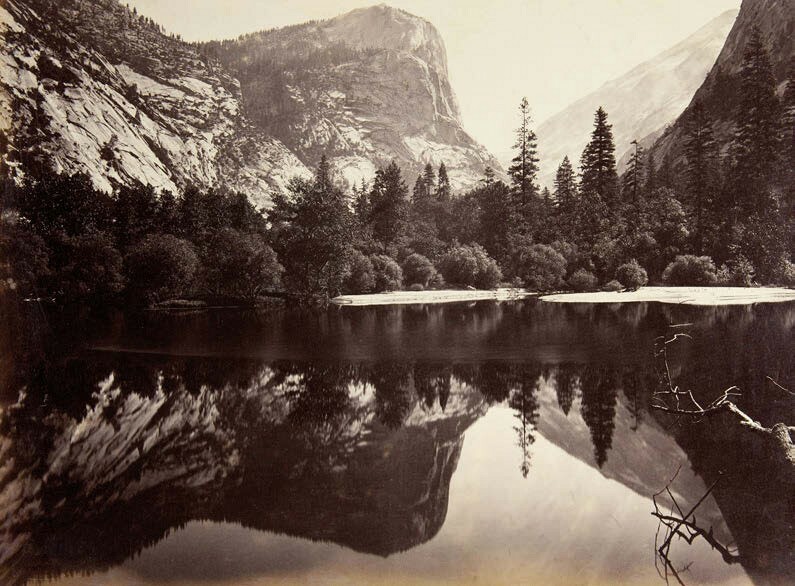 Robert Hershkowitz brings Charles L Weed’s photo Mirror Lake Yosemite to Photo London, which he offers for £50,000. Among these is Robert Hershkowitz, a specialist in early European photography from the 1840s-60s. This year, as well as offering a range of stock, he is curating The Essential Fenton, a show that is part of the schedule of public programmes. It examines pioneering photographer Roger Fenton (1819-69) through recurring aspects of his work in print and image. Works for the show have been lent by the V&A and the collector Michael Wilson. Other early photography dealers include Roland Belgrave, offering 19th century photography, and Johannes Faber, a specialist in Czech and Austrian photography as well as American classic, modern and vintage photography.